Traditional acupuncture points are selected to promote the circulation of Qi and Blood through the meridian energetic system to balance the body and organs, expel pathogenic factors and regulate the Yin and Yang. There are several forms of Traditional acupuncture with varying diagnostic and treatment styles. In clinic, Traditional Chinese Acupuncture, Tung style acupuncture, Japanese, 5 Element and Meridian acupuncture are incorporated. For the treatment, rehabilitation and activation of muscles and joints. Motor point and trigger points are often incorporated in this style. Commonly used in the treatment of nervous system injuries and irritations such as stroke and vertigo. Light electro current stimulation used to activate and assist in rebalancing muscles and the nervous system. Used in conditions such as weak or tight muscles, pain, and even in fertility treatments to promote proper circulation to the lower abdomen. Employing one of the most sophisticated and advanced lasers in its class to apply red or infrared laser in treating the body and acupuncture points. 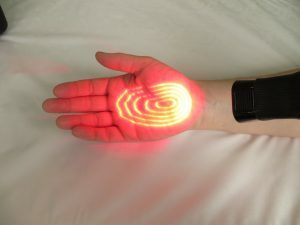 Extensive research into Laser therapy has demonstrated it’s unique ability to speed up the healing process, reduce inflammation as well as activate the physiological system. Laser therapy is commonly used in the treatment of smoking cessation, sound healing and pain reduction. 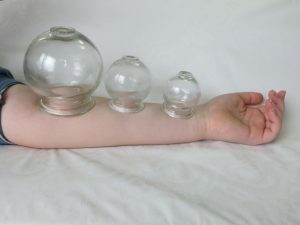 This is not a new or separate technique, but part of regular acupuncture. This term is often used erroneously by physical therapists unlicensed in acupuncture. Generally used in conjunction with acupuncture to help stretch, press and pull the skin, fascia and muscles to activate circulation and stimulate the body to heal itself. Traditional Chinese body work therapy incorporating acupressure, specific massage techniques and adjustments to treat musculoskeletal or internal issues. Chinese Herbal Medicine is employed in several ways to maximize effectiveness. Decoction. Solutions or tea made by boiling specifically tailored herbs to treat disease, regulate organs and re-balance the body. Many internal conditions can be treated with herbs such as digestive issues and skin conditions. Pills. Also commonly referred to as patents, are herbal extracts designed for quick and easy administration. Health Canada assessed safe, effective and high quality patents are utilized in the clinic. Soaks. Used for aches and pains, to reduce inflammation, eliminate micro-organism such as bacteria and fungus. Ointments and liniments. For topical application and quick absorption. Sometimes employed to help sooth irritations to the skin or help reduce swelling and pain from injuries. Advice and counselling are provided from Traditional Chinese Medicine perspective from diet to exercise and habits. This includes things to do and avoid according to ones constitution and condition which goes well beyond nutrition to support bringing balance to the body and to treat the disorder.